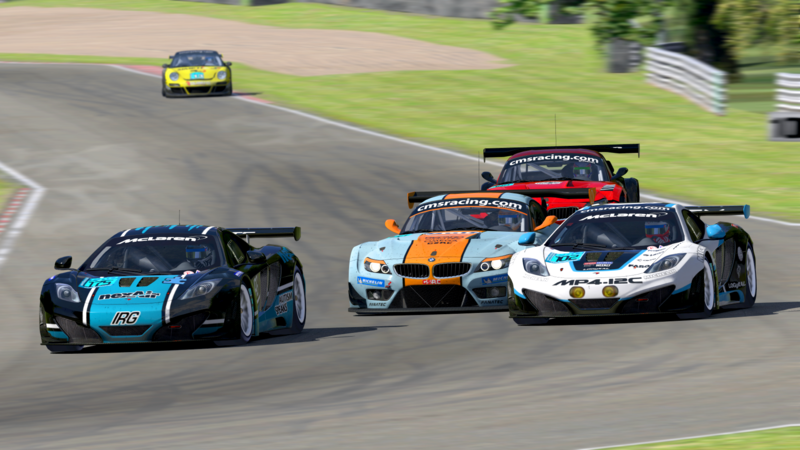 Please enjoy this 4 Races in Season to Date Recap from Tim Collier on our Wednesday Night iRacing GT Series! After four races, there's a literal log-jam atop the standings here, with Clark Archer holding a one point lead over Leif Peterson and Paul Darling. This is a battle that, barring absentees, will go down to the wire. Just behind them in 4th, Chris Pence is waiting to pounce on any bad nights ahead, and don't overlook Victor Tanaka in 5th, who could make up that one missed race before all is said and done. All told, this division has had four different winners in the first four races, and bets are that the diversity in spreading the points around won't end anytime soon. This division has seen the highest turnout on average this season, which means off nights cost you more points, and therefore it will take clean races to put in a bid for the title. After a spectactular run at the Ring, Kris Hudson holds a 15 point lead over Peter Hebron, who has also had a great season so far. Behind them in third, Julie took the win at Daytona and has been in the mix keeping it close in the standings, and just behind her we have a group of drivers that have proven consistency is key. Jay Freels and David Anderson are currently tied for 4th, with JT Tami, Dion Smith and Russell Gordon all in the mix as well. With 5 races to go, there's a lot of points a stake, both to gain and lose, so expect a lot of movement in this list in the coming weeks! With less downforce than the GTE cars, as well as having to navigate traffic both ahead and behind makes this a very tough job for any driver. This class has had four different winners in the first four races, but Paul Hamilton's consistency has put him atop the standings for the moment, with a 20 point lead over returning veteran Mike Tyler, who gets faster week after week. Hamilton's experience will pay dividends, but keep an eye in the mirror as just behind Tyler are drivers with a one race deficit but still in the hunt, being led by Anthony James, a driver that's consistently listed at the top of the speed chart each week. 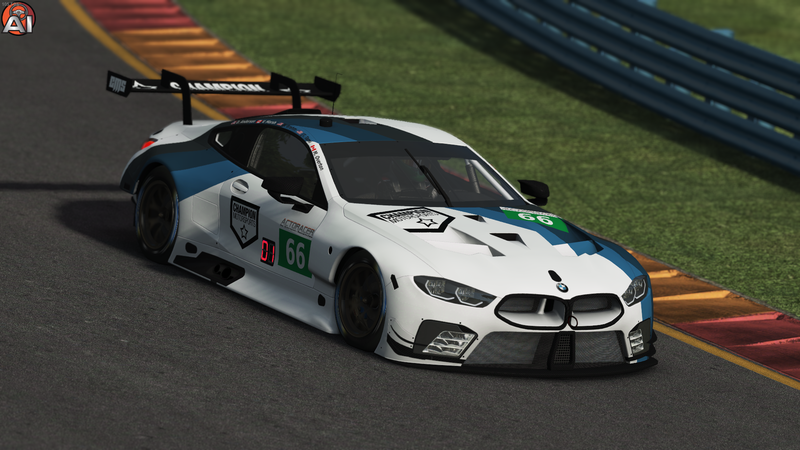 But don't leave out John Addison, another sim-racing veteran, and Jay Dargert , yet another driver already with a win this season. My money is that this class will close up before it's all said and done. And remember that provisional points are earned after every two races attended....but more importantly, after Sebring it's Lime Rock, the North American bullring, where it will be a very busy night for everyone on the track! Good luck this week everyone, and enjoy the beautiful sunset in Florida!! A Very cool new eSports Contest is now live and available over the next couple of months from RaceRoom and the ADAC GT Masters Series with GT3 cars! Right up the alley of those of us here at Champion Motorsports on car format. Check out the details and let's represent!